On Tuesdays we are thrilled to fling open the doors to all of YOU! We love hearing your dreaming stories…the lessons you’ve learned, the roads you’ve walked, the dreams He’s planted in your hearts! 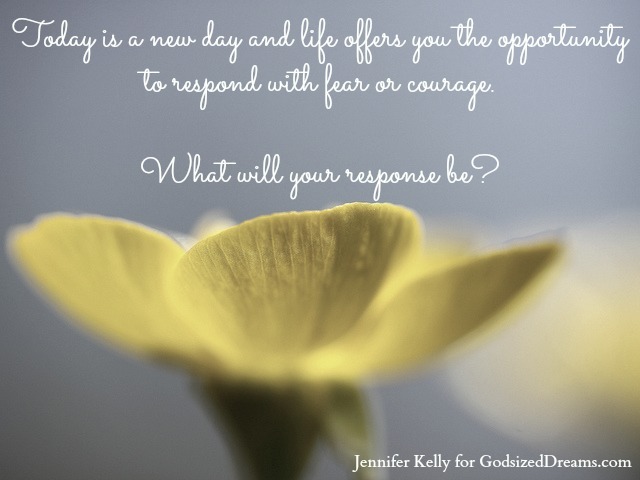 Today we are so happy to have Jennifer Kelly sharing her words with us as she reminds us of the bravery and courage…but also the blessings…that come with dreaming. My oldest daughter, Kaytlin (who is turning 6 this month) amazes me. We have been talking about what courage and bravery look like, feel like, and where these attributes come from. It was truly a wonderful moment for me as a mom. Sometimes our kids say things out loud and you realize they comprehend so much more than what you give them credit for. I was so proud of her, and yet scared, all at the same time. I know all too well, that life will extend opportunities that will require courage. She will have the chance to utter those same-exact words time and time again. My hope is that she continues to learn how to tap into that courage, exercise bravery when confronted with doubt and fear, and deeply believe in the Lord who is the true source of all her strength. There is something, in each and every one of us, which the Lord is looking to accomplish. Every-single-time that doubt starts to creep in and loom and settle in my mind, I can either fall prey to its lies or I can tap into the source of my courage with truth. Doubt turns into fear and paralyzes from within. Whereas; truth turns into courage and enables action despite the outcome. This journey (that is a roller coaster of ups and downs) will always give you a thousand different reasons to fear. My past can tell stories of guilt, shame, remorse, and a million different mistakes that used to paralyze. But the God of Abraham, Isaac and Jacob whispers, “Be strong and courageous. Do not be terrified; do not be discouraged, for the Lord your God will be with you wherever you go” (Joshua 1:9; NIV). Take a moment to remember who God is and who you are. Believe that He loves you and will accomplish what He has already set out to do in you. (<====Tweet this.) It probably looks and feels different than what you ever thought or perceived it to be. God likes to do things like that. But I promise, it will be better than you ever imagined. God calls us to into the unknown, and asks of you and me things that might not make sense right now. But if you believe, He promises that you will be blessed. Today is a new day and life offers you the opportunity to respond with fear or courage. What will your response be? Jennifer Kelly is a very messy wife and mom. She loves reading, writing, philosophy, music, art, theatre, and really anything that is created by an artist. 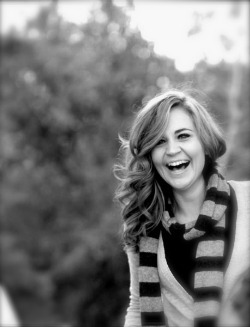 Jennifer currently attends Christian Colorado University where she is studying Biblical Studies. Follow along with her at her blog and on Twitter. Your words are a blessing, thank you for sharing them with us!